While the Cal Grant program provides nearly $2 billion in aid annually, the report argues that the program should be expanded to further support low-income students. The Cal Grant B award has not kept up with inflation, as such the Cal grant award today is worth a quarter of what the original award would have been. The report argues that California should increase the Cal Grant B award to help low-income students limit their work hours so that they can focus more on school. 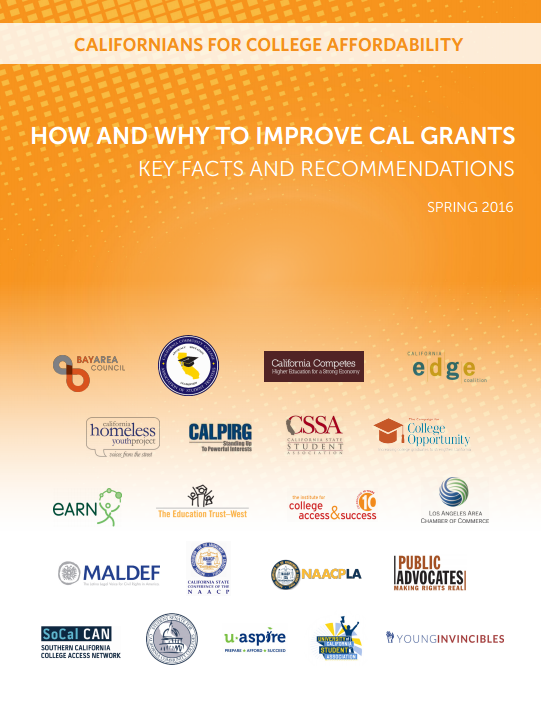 The report also recommends that the tuition award be included for first-year Cal Grant B recipients, doing so will give low-income students the ability to choose the college that is best for them.